I'm always on the go. Being a travel blogger makes me privileged to explore picturesque places in and outside the country, to mingle with different people and a chance to learn their culture that is different to us. Every payday and/or holiday, I see to it that I'm all set for a getaway that I will never forget. I just pack the usual things that I need and I'm ready to go. Of course, I bring the essentials everytime I went out. Though there are some hotels that can provide everything that I need, still it's best to come prepared. Like this experience that I had before when I went to Banaue, where I stayed in a transient room there they were no amenities inside. I have no other choice but to buy them at their local store. It was all expensive. Lesson learned: When in travel, be prepared at all times. 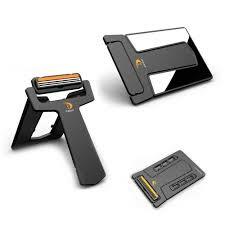 Looking at the razor and mirror set from Metrodeal, I think it's a great addition for me to have one in my travel bag. My girlfriend also thinks it's a must-have in her kikay bag, for she can conveniently shave while on the road (lol!) I was debating with her as I saw this, for there are some disposable razors being sold at local drugstores that costs much less than this one. I let her order so that she can review this product that she ordered on the MetroDeal site. After she placed her order and have it delivered to her house, I went by to see her recent purchase. I was amazed that the set doesn't look like one at all – it was like a card but only bigger. 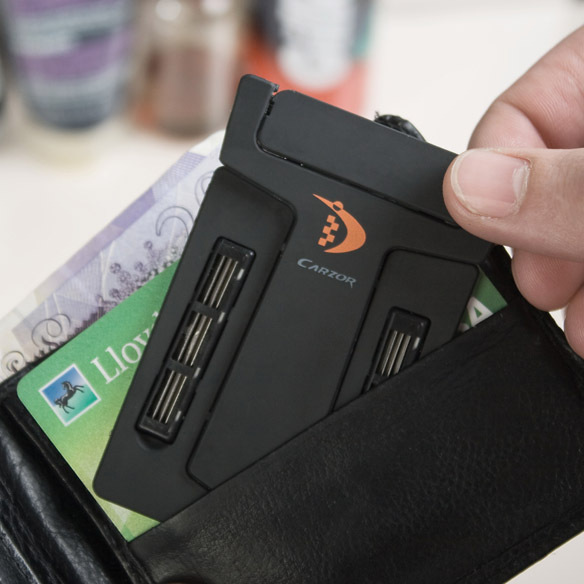 I also think that it's a convenient-looking thing, for it is foldable and slim, and it can be tucked in inside the wallet or in any other flat surface. Another thing that amazes me is the extra blades can also be seen inside this amazing set. I was surprised that my girlfriend bought two – she bought one for her and for me! Now I can able to try this set at home. After trying this razor as I got home I realized that it performs the same as any other razor available. And with the mirror included in the set I think it's convenient to have one, especially if I have stubbles already while I'm on a travel and I'm in desperate need of shaving. It was a great investment indeed, a great addition to my emergency hygiene kit. Now I'm thankful to have this amazing product from Metrodeal!